Blanche “Marie” Jackson, 76, of 10 Geer St., died Monday, September 10, 2018 at her residence. Born in Haywood County, she was the daughter of the late Mr. and Mrs. Shelton King. She retired from Rice Mills and was of Church of God faith. 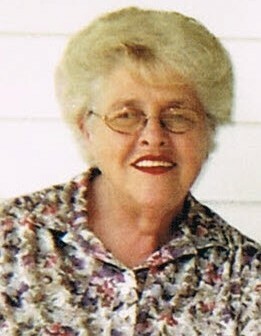 Surviving are: daughters, Debra Fricks of Belton and Georgia Leschik (Heather) of Charleston; sons, Greg Conard of Conway and Burgin Thomason of SC; 12 grandchildren and 15 great grandchildren. She was preceded in death by her daughter, Kathy Thomason. Memorial service will be held 3pm Sunday, September 16, 2018 at Belton Depot. The family will be at the home of Jabo Campbell and Debra Fricks at 101 Huffman St., Belton, SC 29627.